*** REDUCED** FOR INMEDIATE SALE IN OCEAN THREE. 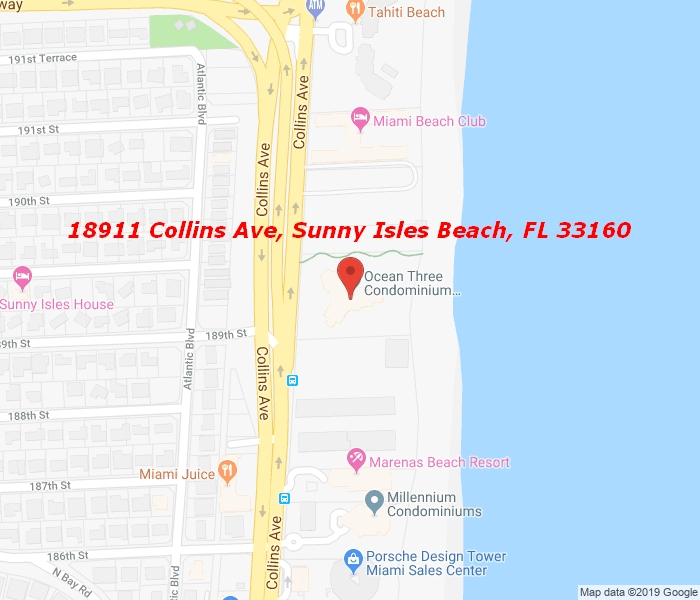 RARE OPPORTUNITY **ONLY UNIT FOR SALE **LINE 04 **Floor Thru High Floor Special unit with private foyer entrance – 2 Terraces with Ocean and Intracoastal views Designer unit with marble floors – custom cabinetry – 2 beds plus Den – 2 1/2 Baths. Pool grounds with landscaping, and beach attendance. Excellent location Private and Residential . Unit is vacant Call Listing agent .